If you know them, you love them. And if you don’t know them yet, let us introduce you. Holly Belancsik grew up in J.C. where she loved doing anything outside, especially softball, but a big part of her life was also music to which she received a scholarship. After graduating she went to St. Rose to study Elementary Education. Today her interests include traveling, photography and painting but her happiest moments are undoubtedly the time she spends with her husband and son. Lori Lanfair a graduate from Susquehanna Valley grew up in Conklin. Two of her biggest joys and pride in life are her two children who are now 6 and 16. The restaurant business is definitely in Lori’s blood, having worked in it all her adult life. Though laughing she will not say how long that is. 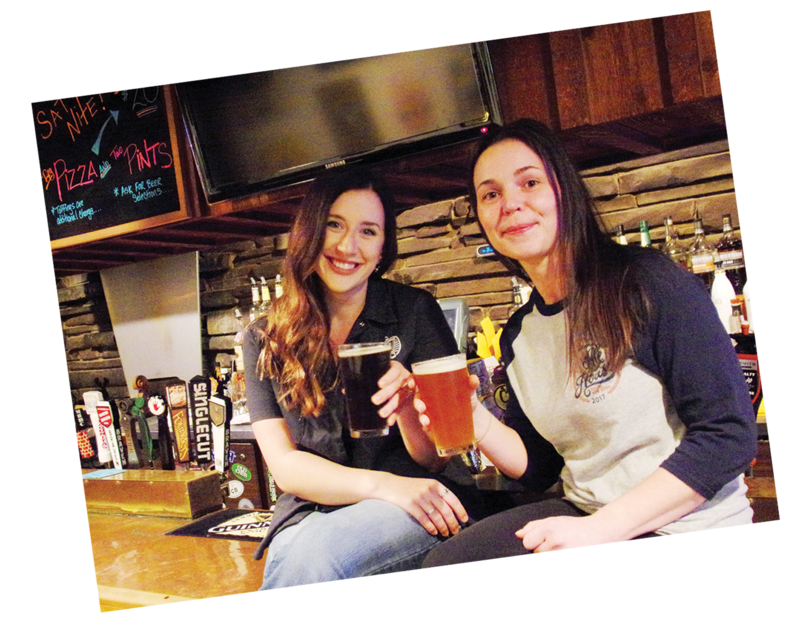 Both Holly and Lori will tell you there is something very special about the Ale House. Their patrons & coworkers have all become their second family !! This New Year Lori and Holly would like to lift their glass in a toast, wishing everyone, a Very Happy New Year! !